As a condition of using our Website, you represent that you are of legal age to enter into a binding contract and that you are not a person barred from accessing the Website under the laws of the State of California, the United States or any other country. Do not use vulgar language or profanity in your messages. Do not post personal attacks, or excessive and explicit criticism of fellow bloggers or rescue organizations or individuals. You must be over 16 to post comments and/or content. This policy is designed to protect minors from the possibility of inappropriate contact on our web site. It is not designed to protect minors or adults from what may be controversial content. Nor is its purpose to determine if content is age appropriate. Negative comments, and incitement and/or approval of violent or illegal activities are not allowed. Do not post unlawful or objectionable content, including unlawful, harassing, defamatory, abusive, threatening, harmful, graphic, obscene, profane, sexually oriented, racially offensive or otherwise objectionable material. Do not upload, post, email or otherwise transmit any confidential information, trade secrets, "junk mail," "spam," "chain letters,", "pyramid schemes," any other form of solicitation, or software viruses to the website. Spamming or off-topic material is not allowed. Not complying with these rules, disrupting the community or annoying other users will result in the appropriate action being taken against you. The design of this web site and all materials published on it by Paws for Life, including text, names, trademarks, service marks, logos, graphics, photographs, video, or other visuals or content are the property of Paws for Life and are protected by copyright, trademark, and other intellectual property laws. Paws for Life authorizes you to view and download the content portion of this web site only for your personal, non-commercial use and only if you keep on any copies all copyright and other proprietary notices contained on the original materials. You agree you will not otherwise reproduce, retransmit or distribute, in any manner or to any extent whatsoever, any part of this web site, its design or content published by Paws for Life, without the prior written permission of Paws for Life. Permission will only be granted if you agree to give credit to the author and to Paws for Life. Note: Resources available on the Paws for Life on our sites Paws for Life.org and news are available for use and reproduction without prior contact as long as credit is appropriately given as stated above. If you would like permission to reproduce any other Paws for Life materials on this web site, please contact us at info@pawsforlifek9.org. Please specify the URL and article or feature you would like permission to reproduce. Reproduced text may not be modified or altered in any way without our express written consent. The content permitted to be copied as specified above does not include the layout or design of this web site. Those elements of this site are protected by trademark and other laws and may not be imitated or reproduced in whole or in part. Also, no logos, graphics, sounds or images on this web site may be reproduced or distributed without Paws for Life' express written consent. By posting content, including but not limited to text and photographs, to any Group Pages, Member Profiles, forum or blog, you represent and warrant that you either own or control all of the rights to that content, including, without limitation, all the rights necessary for you to post or upload the content, or that your use of the content is a protected fair use under copyright law. You agree you will not knowingly provide content with intent to defraud or submit misleading or false information. You represent and warrant also the content you supply does not violate these Terms and you will indemnify and hold Paws for Life harmless for any and all claims resulting from content you supply. By uploading or posting to a Group page, Member Profile, forum or blog, you are granting Paws for Life a non-exclusive, royalty-free, assignable, perpetual, irrevocable, and worldwide license to reproduce, use and distribute your content. Paws for Life will make an effort to credit your authorship. You understand and agree all content posted to Group pages, Member Profile, forums and blogs is the sole responsibility of the individual who originally posted the content. Paws for Life does not necessarily approve of and is not responsible for and disclaims any and all liability that may arise from content posted by you or other individuals or groups on the Group pages, Member Profiles, forums or blogs. If you believe any content posted by others is infringing or otherwise objectionable, please notify us at info@pawsforlifek9.org. You agree that Paws for Life has the right in its sole discretion to edit, alter, or remove any content submitted by you or others to the site. We reserve the right to modify or discontinue all or any portion of our Website with or without notice. We will not be liable if we choose to exercise this right. You acknowledge and accept that we do not guarantee continuous, uninterrupted or secure access to our Website, or that operation of our Website will be uninterrupted or error free. You understand that usage of our Website may be interfered with or adversely affected by numerous factors or circumstances outside of our control. Use of the content on this Website, including without limitation reproduction for purposes other than those noted herein, modification, distribution, replication, any form of data extraction or data mining, or other commercial exploitation of any kind, without prior written permission of an authorized officer or agent of Paws for Life is strictly prohibited. With the exception of search engines, you agree that you will not use any robot, spider, or other automatic device, or manual process to monitor or copy our web pages or the content contained therein without prior written permission of an authorized officer of Paw for Life. You may use the content solely for your personal, non-commercial use, except as described herein. You may download or print a single copy of any portion of the content solely for your personal, non-commercial use, provided you do not remove any trademark, copyright or other notice from such content. You may not make any use of content owned by any third parties which is available on the Website, without the express consent of those third parties. in any way affect the display of the Website, including deep linking to the Website for any purpose; frame the Website, or place pop-up windows over any content. Any use of content on the Website, including without limitation reproduction for purposes other than those noted herein, modification, distribution, replication, any form of data extraction or data mining, or other commercial exploitation of any kind, without prior written permission of an authorized officer of Paw for Life, is strictly prohibited. With the exception of search engines, you agree that you will not use any robot, spider, or other automatic device, or manual process to monitor or copy our web pages or the content contained therein without prior written permission of an authorized officer of Paws for Life. You may use the content solely for your personal, non-commercial use, except as described herein. You may not make any use of content owned by any third parties which is available on the Website, without the express consent of those third parties. a statement that all of the information you have provided is true. Any content uploaded, posted, submitted, or otherwise made available by individual users of the Website, including without limitation blog comments, message board posts, and any other content which does not originate with Paws for Life ("User Content"), is the sole responsibility of the person who made such User Content available on the Website. Under no circumstances will Paws for Life be liable in any way for any User Content made available through this Website by you or any third party. Since Paw for Life does not control the User Content posted on it Website, it does not guarantee the truthfulness, integrity, suitability, or quality of that User Content, and it does not endorse such User Content. You also agree and understand that by accessing the Website, you may encounter content that you may consider to be objectionable. Paws for Life has no responsibility for any User Content, including without limitation any errors or omissions therein. Paws for Life is not liable for any loss or damage of any kind incurred as a result of any User Content on the Website. User Content is owned by the author thereof, and Paws for Life does not claim ownership of original works created and posted by individual visitors to this Website. However, by uploading, posting, transmitting or otherwise making any User Content available on or through the Website, you are granting Paws for Life an irrevocable, nonexclusive, perpetual, royalty-free, transferrable, sub-licensable, worldwide license to copy, reproduce, modify, publish, display, distribute publicly, perform, exploit, and prepare derivative works of such User Content (including your name, image, likeness, or information you have made publicly available in connection therewith) in any manner, media or format now existing or hereafter devised, without any obligation of notice, attribution or compensation to you. Paws for Life reserves the right (but has no obligation) in its sole discretion to pre-screen, edit, refuse, move or remove any User Content that is posted on the Website. You agree that the exercise by Paws for Life of such discretion shall not convert or transform User Content to content owned or provided by Paws for Life, and the user who made such User Content available on the Website will retain ownership thereof as described below. As required by California Law, we permit minors under the age of 18 to request the deletion of any content or information that the minor has posted on our Website. To request the removal of content or information you have posted on the Website, please email info@pawsforlifek9.org with (a) your name, (b) a complete description of the content you would like removed, and (c) the web address(es) of the content you would like removed. Please be aware that our fulfillment of this request does not ensure complete or comprehensive removal of the content or information you have posted on our Website. YOUR ACCESS TO AND USE OF THIS WEB SITE, ITS FORUMS AND BLOGS ARE AT YOUR SOLE RISK. YOU ARE ENTIRELY LIABLE FOR YOUR ACTIVITIES RELATED TO THIS SITE, THE FORUMS AND BLOGS. PAWS FOR LIFE DOES NOT WARRANT (A) THE ACCURACY, COMPLETENESS, TIMELINESS OR OTHER CHARACTERISTICS OF ANY CONTENT AVAILABLE ON OR THROUGH THIS NEWS WEB SITE, THE FORUMS OR BLOGS; (B) THAT THIS NEWS WEB SITE, FORUMS OR BLOGS WILL BE AVAILABLE FOR ACCESS ALL THE TIME OR AT ANY TIME ON A CONTINUOUS, UNINTERRUPTED BASIS; (C) THAT ANY DEFECTS IN THE WEBSITE OR ITS CONTENT CAN OR WILL BE CORRECTED; OR (D) THAT THIS WEB SITE OR ITS SERVER ARE FREE OF VIRUSES OR OTHER HARMFUL CODE OR MATERIALS. THIS WEB SITE, FORUMS AND BLOGS AND THEIR CONTENTS ARE PROVIDED "AS IS." PAWS FOR LIFE MAKES NO REPRESENTATION OR WARRANTY OF ANY KIND, EXPRESS OR IMPLIED, INCLUDING, WITHOUT LIMITATION, ANY WARRANTIES OF MERCHANTABILITY, FITNESS FOR A PARTICULAR PURPOSE, TITLE, OR NON-INFRINGEMENT. YOU MUST EVALUATE AND BEAR ALL RISKS ASSOCIATED WITH THE USE OF ANY CONTENT, INCLUDING ANY RELIANCE ON THE ACCURACY, COMPLETENESS, OR USEFULNESS OF THE CONTENT. PAWS FOR LIFE IS NOT RESPONSIBLE FOR ANY DAMAGE TO YOUR COMPUTER, HARDWARE, SOFTWARE, PROPERTY OR PERSON, OR ANY OTHER INCONVENIENCE OR LOSS, RESULTING IN ANY WAY FROM YOUR USE OF THIS NEWS WEB SITE, FORUMS OR BLOGS. This Disclaimer applies to all content and services available through this site as allowed by law. UNDER NO CIRCUMSTANCES SHALL PAWS FOR LIFE BE LIABLE FOR ANY DAMAGES, INCLUDING DIRECT, INCIDENTAL, SPECIAL, CONSEQUENTIAL OR PUNITIVE DAMAGES, THAT RESULT FROM THE USE OF OR THE INABILITY TO USE THIS WEB SITE OR THE INFORMATION CONTAINED ON THIS WEB SITE, EVEN IF PAWS FOR LIFE HAS BEEN ADVISED OF THE POSSIBILITY OF SUCH DAMAGES. YOU AGREE NEVER TO BRING A CLAIM AGAINST AND RELEASE PAWS FOR LIFE AND ITS EMPLOYEES, AGENTS, OFFICERS, DIRECTORS, AGENTS, FOUNDERS AND ITS SUCCESSORS AND ASSIGNS AND VOLUNTEERS FROM ALL LIABILITY ARISING FROM ACCESS, UPLOADS, POSTINGS, EMAILS, DOWNLOADS OR OTHER USE OF THE WEB SITE (INCLUDING BUT NOT LIMITED TO GROUP PAGES, MEMBER PROFILES, FORUMS AND BLOGS) AND LINKED SITES. YOU UNDERSTAND THAT THIS AGREEMENT DISCHARGES PAWS FOR LIFE AND ITS EMPLOYEES, AGENTS, OFFICERS, DIRECTORS, AGENTS, FOUNDERS AND ITS SUCCESSORS AND ASSIGNS AND VOLUNTEERS FROM ANY LIABILITY TO YOU WITH RESPECT TO BODILY INJURY, PERSONAL INJURY, INJURY TO REPUTATION, DEFAMATION, ILLNESS, DEATH, PROPERTY DAMAGE OR OTHER LOSS THAT MAY RESULT AS A RESULT OF ACCESS, UPLOADS, POSTINGS, EMAILS, DOWNLOADS OR OTHER ACTIVITIES OR USE RELATED TO THE WEB SITE, ITS GROUP PAGES, MEMBER PROFILES, FORUMS AND BLOGS AND THEIR CONTENT AND LINKED SITES. The Website is intended primarily for informational purposes. This web site may contain hyperlinks to web sites operated by persons or entities other than Paws for Life. If you decide to access or use any such third party web sites, you do this entirely at your own risk. The linked sites are not under the control of Paws for Life and we are not responsible for the contents of any linked site or any link contained in a linked site, or any changes or updates to such sites. We provide these links to you only as a convenience, and the inclusion of any link does not imply endorsement by Paws for Life of the site. These Terms and Conditions of Use shall be governed by and construed in accordance with the laws of the United States of America and the State of California, excluding choice of law provisions. You expressly agree the exclusive jurisdiction for any claim or action arising out of or relating to these Terms and Conditions of Use or your use of this site shall be in the state or federal courts located in the State of California, and you further agree and submit to the exercise of personal jurisdiction of those courts for the purpose of litigating any such claim or action. Paws for Life controls this web site from its offices in the United States of America.  Paws for Life makes no representation that information and materials on this web site ("Materials") are appropriate or available for use in other locations, and access to them from territories where their content is illegal is prohibited. Those who choose to access this site from other locations do so on their own initiative and are responsible for compliance with applicable local laws. Any rights not expressly granted herein are reserved by Paws for Life.